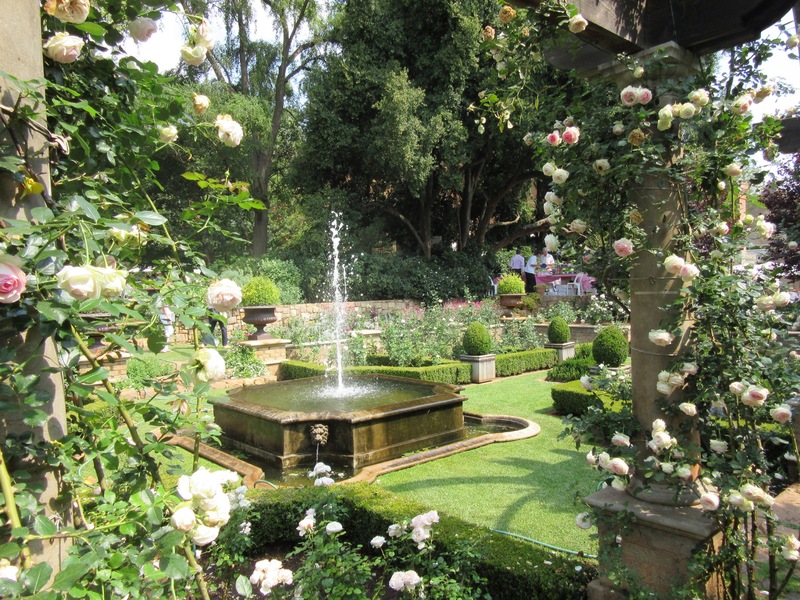 We were fortunate to attend a charity fundraiser garden open house at Beechwood Gardens. 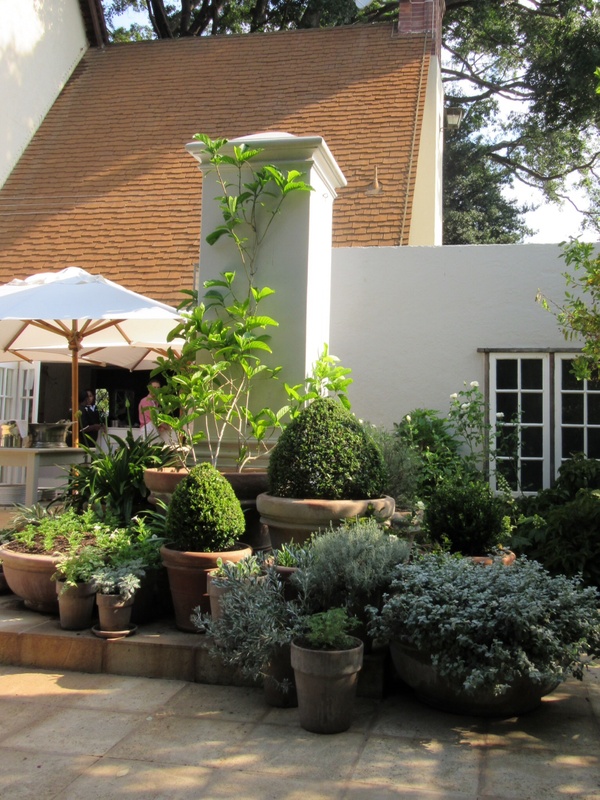 The Flemish country style home is from the 1940s with the garden designed by Joane Pym. 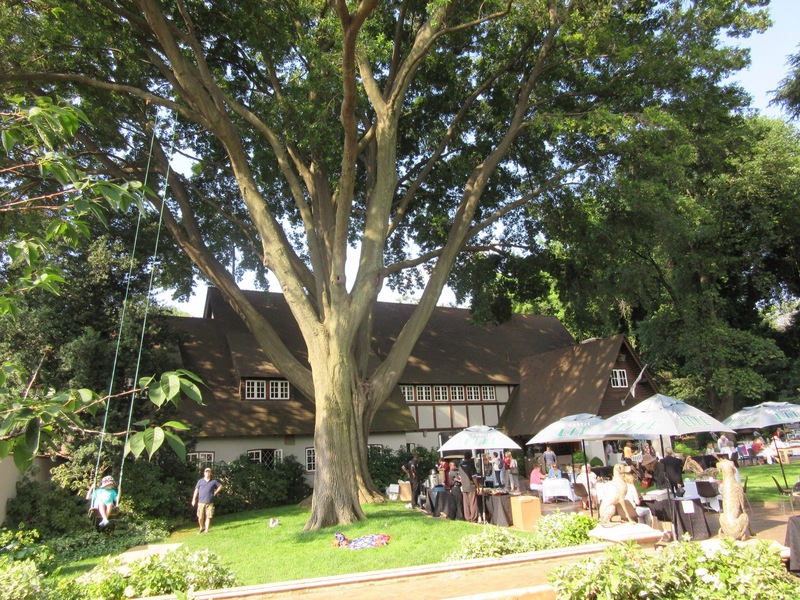 The colossal Water Oak in the front yard is believed to be one of the largest trees in Johannesburg. 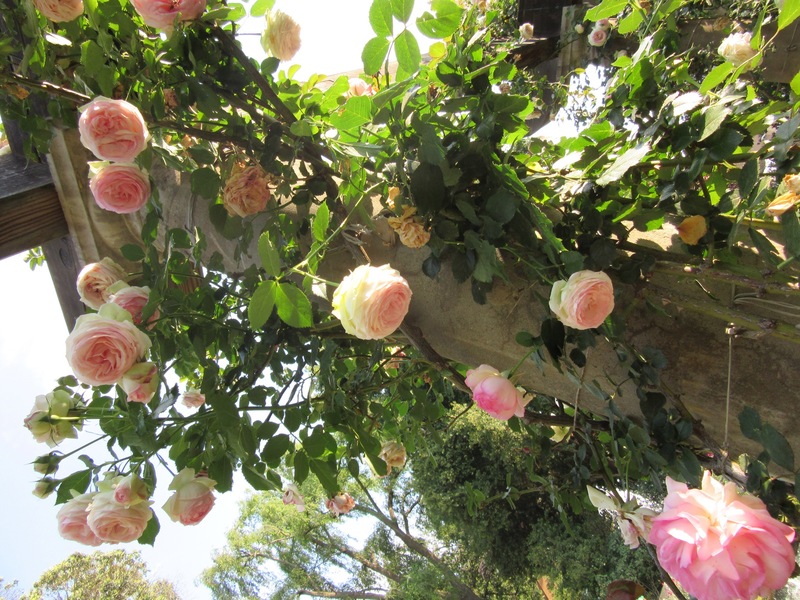 The gardens were gorgeous and we enjoyed our visit immensely. 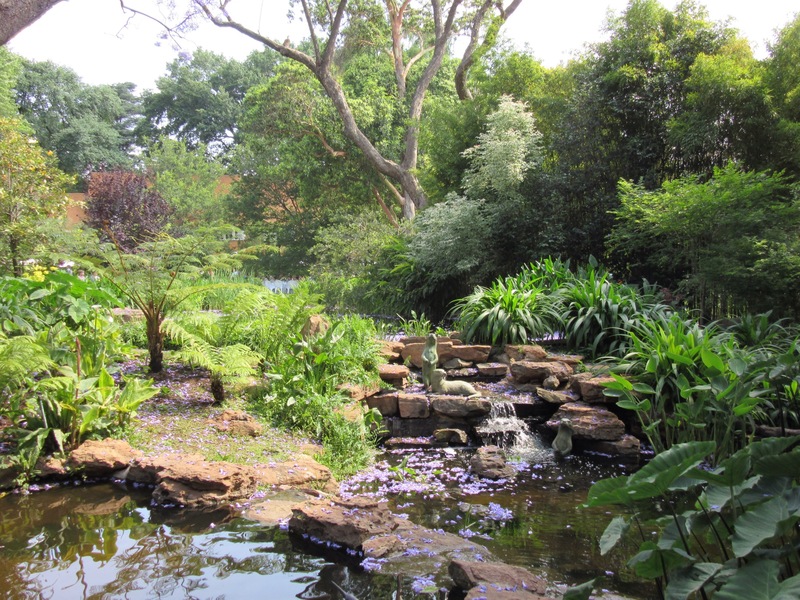 A water garden is created with five ponds. 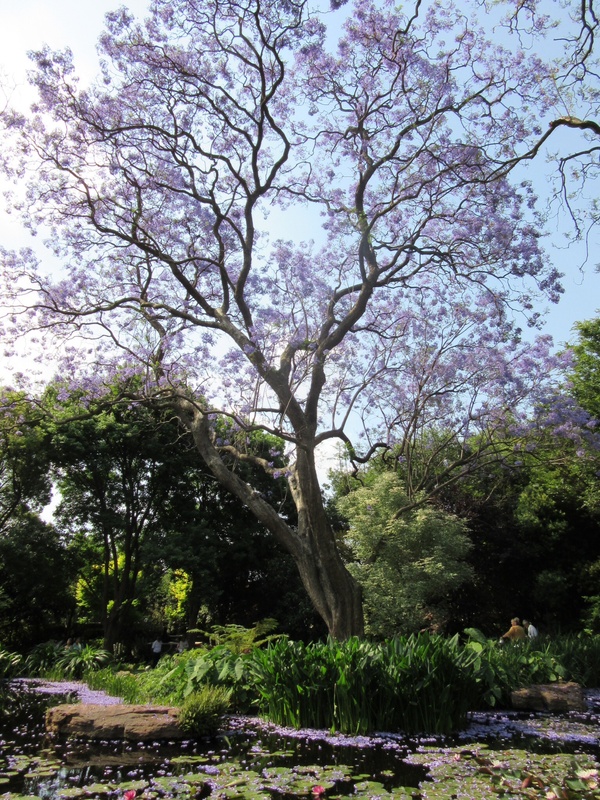 Two large jacarandas in full bloom anchor the back garden. 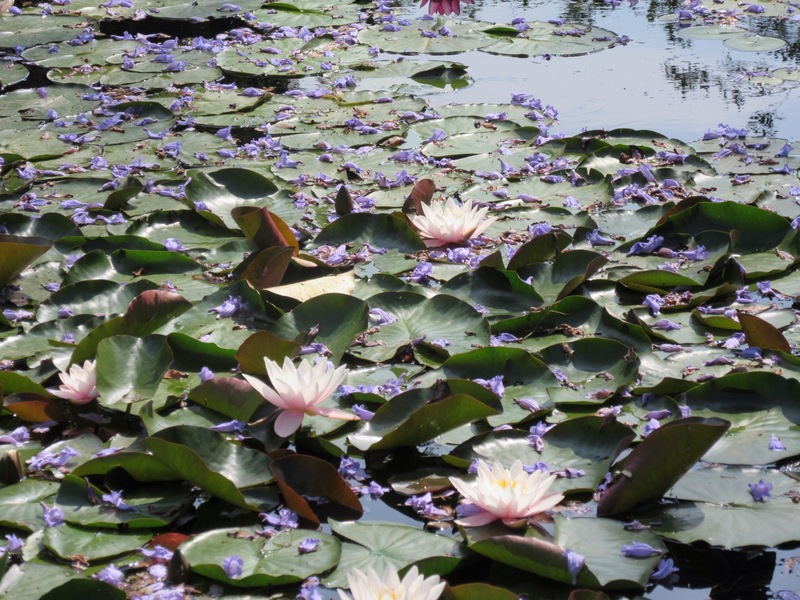 The water lilies were lovely and the pond was full of vibrant purple blooms. The view of the 3.4 acre private property from the back corner perimeter walk. 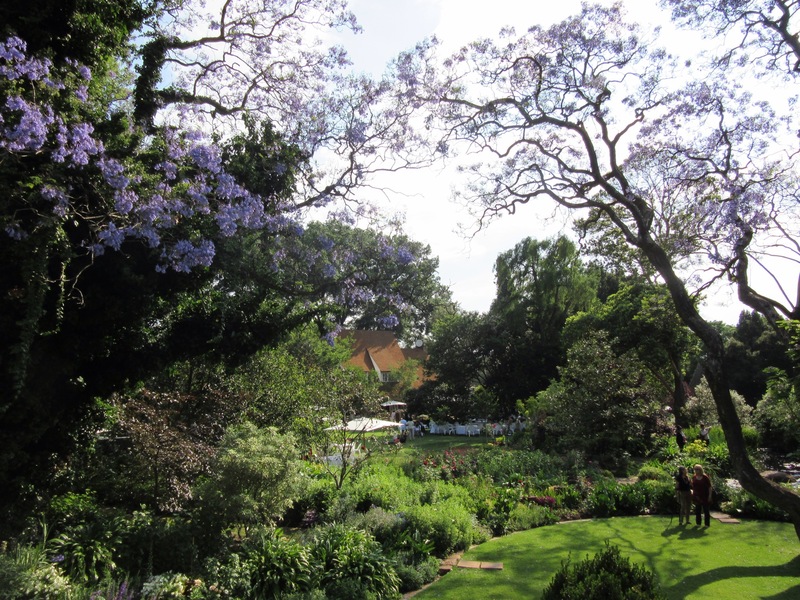 The pair of full bloom jacarandas can be seen from all areas in the back. 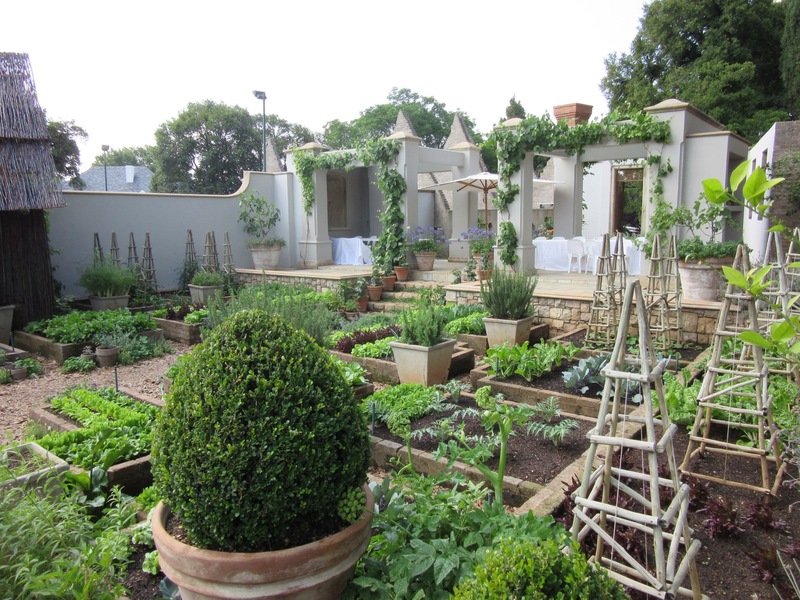 The cherise and lime garden. 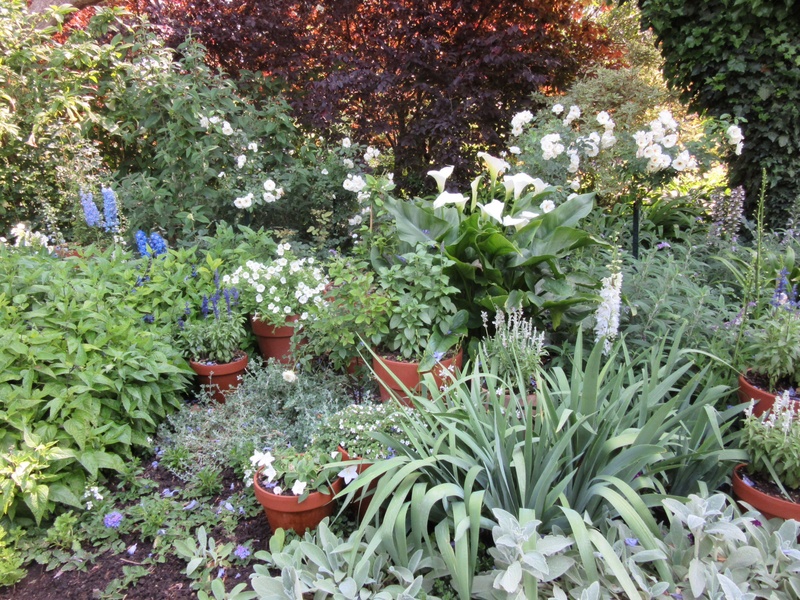 I loved the many white plantings, with variegated leaves. 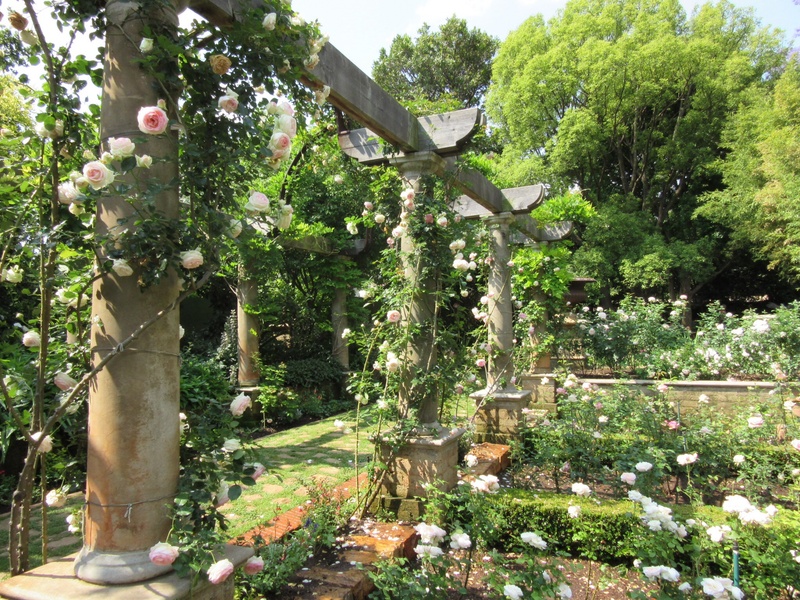 This is the blue garden. 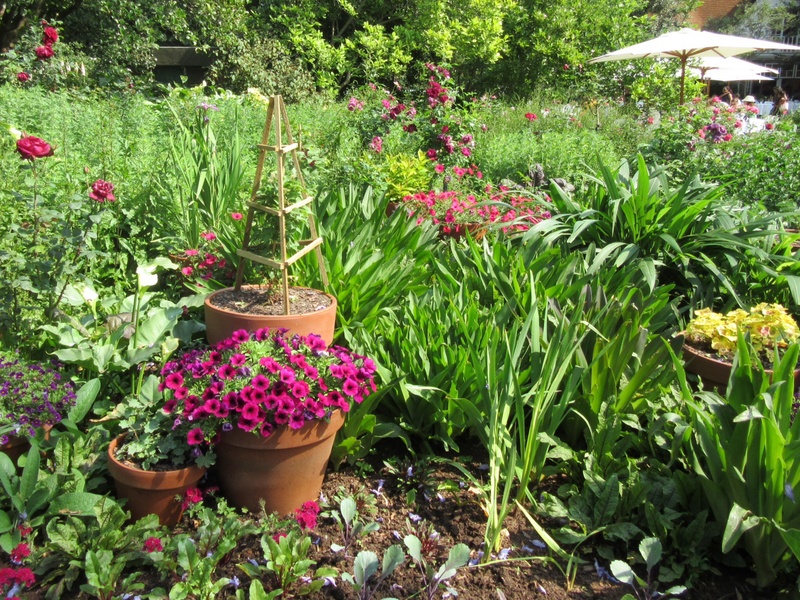 Plentiful pots throughout, simple planted with greenery. 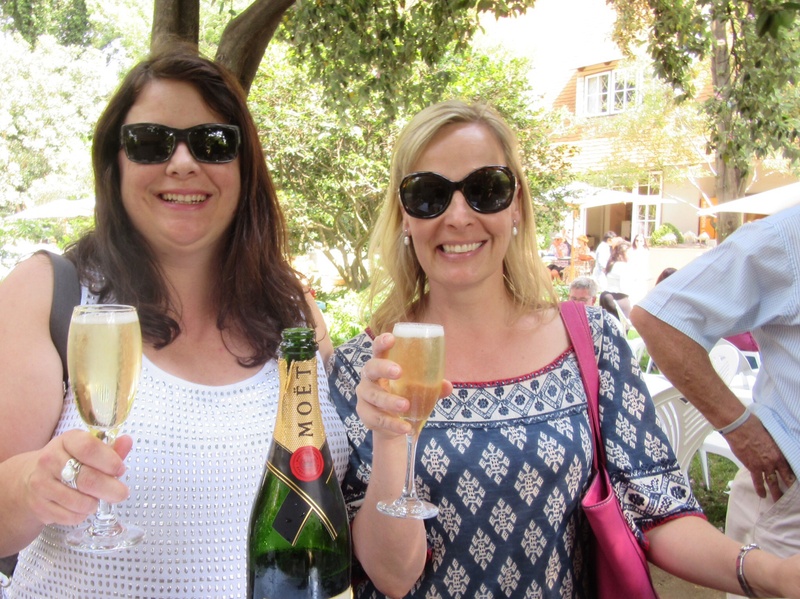 My name is sue and I am an interior decorator from White Rock BC Canada, and am visiting my long time friend in South Africa. 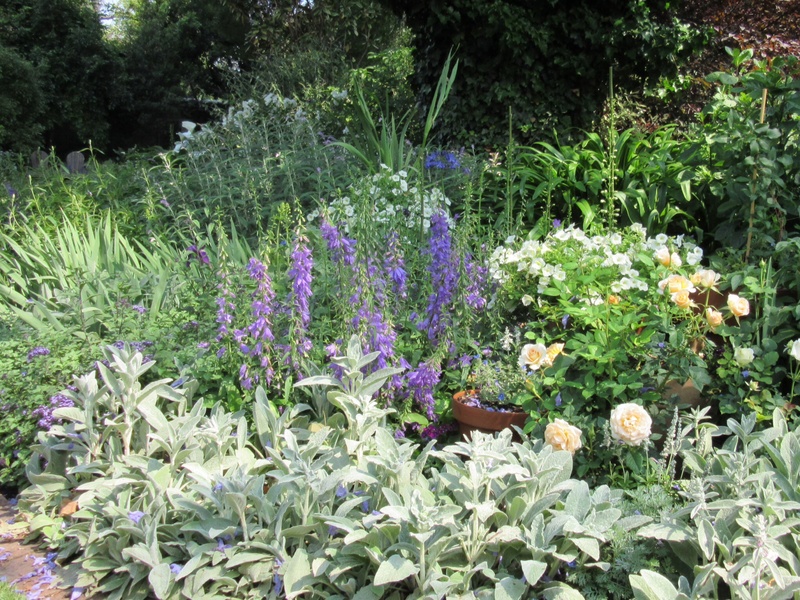 For more information on the charity events and garden tour.